Over the last 7 days, the Greater New York Red Cross provided emergency assistance to 56 adults and 29 children following 36 disaster responses. Here are some highlights from last week and a preview of upcoming activities. for their support of local blood drives this summer. To mark National Preparedness Month, the Red Cross began offering FREE shipping on all emergency readiness supplies starting on Saturday. Offer valid all month. On Thursday, our incredible fire safety team visited homes in Heritage Hills amid 90+ degree temperatures to install FREE smoke alarms! Also on Thursday, we posted a blog story about our very own Debbie Hayden, who recently put her CPR skills to use helping to revive an unresponsive passenger on the LIRR. 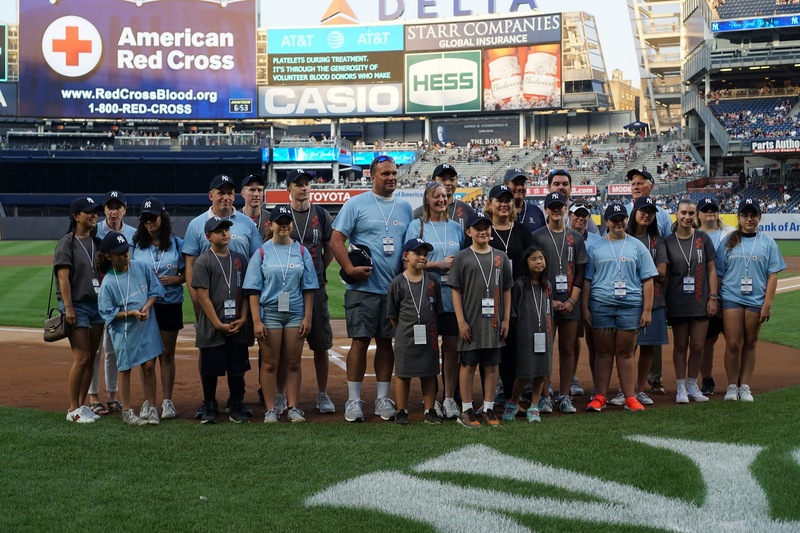 Tuesday evening was a night to remember in the Bronx: Before the Yankees-White Sox game, our Blood Services team along with a group of kids who’ve supported Red Cross blood drives this summer were honored! 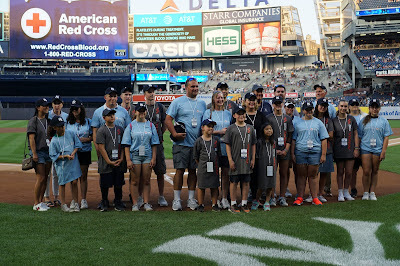 Among those recognized on the field was Brandon VonBargen, an inspiring third-grader at the Bayville School on Long Island. Brandon has been fighting A-P-M-L, a form of leukemia, and has required red and white blood cells, as well as platelets during treatment. It’s the generosity of volunteer blood donors who've helped to make these transfusions possible. On Wednesday, we recognized Seamus, a dedicated therapy dog with our West Point team, and his handler Barbara. This special little guy is currently in remission from cancer after undergoing treatment. Wishing him all the best! Earlier in the week we posted this video highlighting the work of our awesome summer interns. Sept. 4, 6 and 7: Red Cross blood drives will take place from 2 to 7 p.m. at the Greater NY Red Cross building located at 520 West 49th Street, Manhattan and other locations. Schedule an appointment to donate today. Oct. 10: Join us for the annual American Red Cross: Heroes Among Us gala at the Ziegfeld Ballroom to celebrate the civic leaders and heroic individuals who embody our humanitarian mission. Nov. 4: The American Red Cross Greater New York Region is proud to Run for the Red in November at the TCS New York City Marathon. Come be a part of Team Red Cross and sign up by Thursday, September 13! Space is limited, so secure your spot today! For more information, contact Bob Estremera at NYCmarathon@redcross.org or 212-875-2091.